> Château Balestard La Tonnelle. Products of the domain : Château Balestard La Tonnelle. Located at the gateway to the beautiful city of Saint-Emilion, Château Balestard is a vineyard of more than 10 hectares whose name was given to it by canon Balestard. The soils are clayey-limestone and located at the top of a hillside, the vineyard is 70% Merlot, 25% Cabernet Franc, and 5% Cabernet Sauvignon, and the vines age is over 30 years. The winemaking is done in a traditional way and the wine is brought up exclusively in new oak barrels. 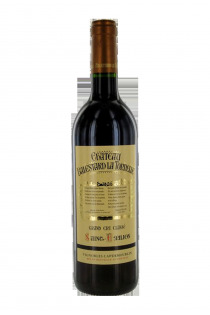 A magnificent Saint Emilion with its finesse and elegance. Saint-Emilion Grand Cru - 2008 - Château Balestard La Tonnelle.